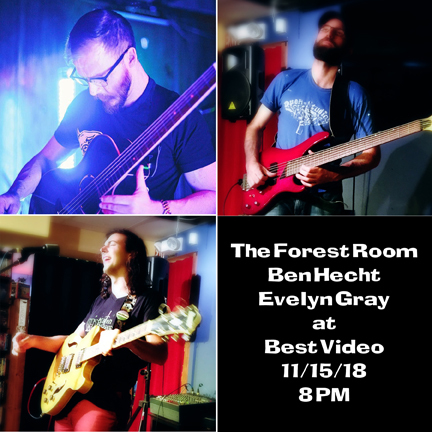 The Forest Room, Ben Hecht, and Evelyn Flynn Gray play Best Video Performance Space on Thursday, Nov. 15. 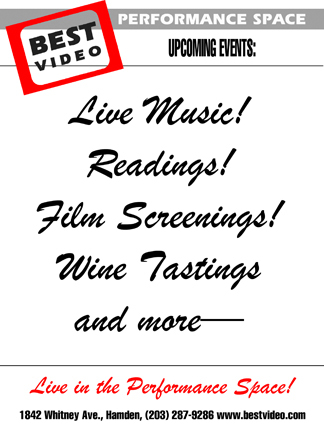 The music starts at 8 PM and he cover is $5. Benjamin Hecht, solo instrumental bass guitar, opens boundaries between mental and emotional states as experienced through the expanding and collapsing corona of a presyncopal attack; the breath from a foreboding and anxious depth. Through contrasting expressive, guttural leads over trancelike phrasings, he builds compositions that are mostly improvised or variations on a theme. The Forest Room is the acoustic solo project by Matt Streit which began in 2004 as a casual musical outlet outside of his main band. 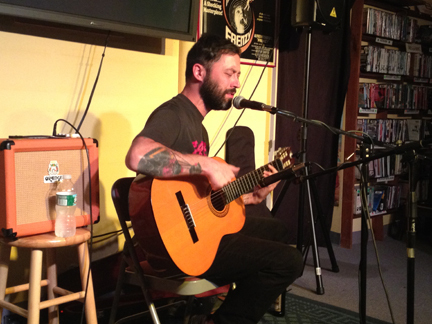 An active musician from Milford, CT for many years, mainly as a bass player in heavy metal and rock bands, Matt takes a completely different approach with the Forest Room by writing most of the music on acoustic guitar, utilizing multiple layers of guitar parts with live record looping, and occasionally incorporating produced beats. Matt uses several guitar effects pedals, some of which he built himself. 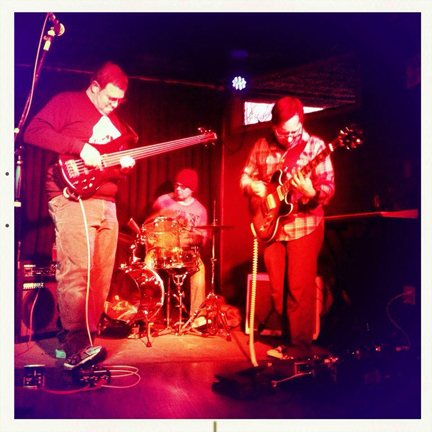 The Forest Room combines influences and elements of instrumental, folk, ambient, hiphop, and triphop music. Evelyn Gray explores her voice and the guitar as tools to imbue a song with what she is feeling. Utilizing a small, but crowded pedalboard, she loops and layers delicate guitar riffs alongside personally reflective lyrics. Gray believes music to be a powerful means of healing emotional distress and a way to connect with others while building community. She draws influence from a wide array of artists and is most presently inspired by the work of Julien Baker, Mitski, and Half Waif. 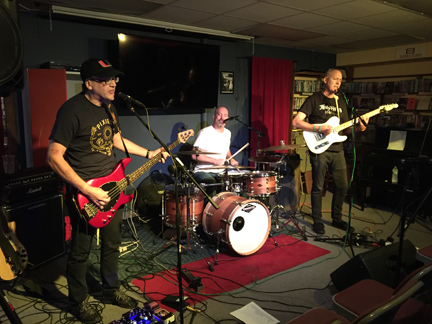 Rock trio Jellyshirts return to Best Video Performance Space on Wednesday, Aug. 29. The show starts at 8 PM and the cover is $5. 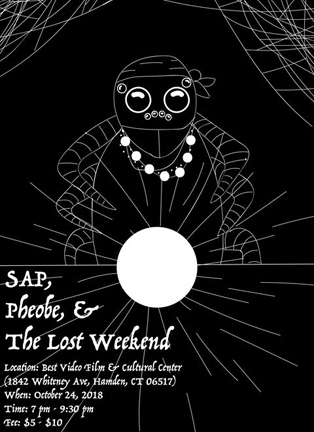 Psychedelic indie band Witch Hair and indie rock trio Lea play Best Video Performance Space Wednesday, Feb. 28. The show starts at 8 PM and the cover is $5. An atypical trio, each person sings and writes their own songs since the addition of Tom Connolly (Drums/Vocals) in November 2016. His presence solidified a sound that is at times psych heavy and droning while managing to maintain it’s melodic roots with Joe Russo (Guitar/Vocals) and Ashley Kenney (Bass/Vocals) singing haunting harmonies to Connolly’s deep baritone. 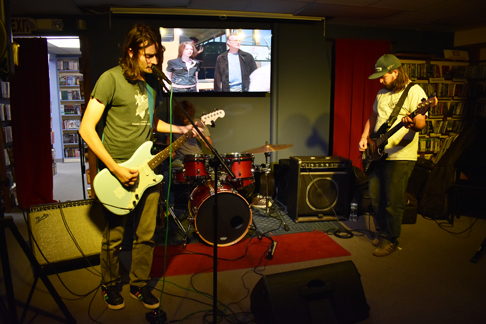 Lea the band was founded at Daggett Street in New Haven in 2012 and debuted that year on the web series Kspills Couch. In 2015, Lea added a bass player and released a live album, with 2016 seeing the release of their first studio single The Duck House. Through mid 2017, Lea recorded their debut full length “Lea is Here” in Allston Mass with Jack Pombriant (We Can All Be Sorry) and Jesse Weiss (Grass Is Green, pPalehound). “Lea is Here” was released August 2017 and is available as a pay-what-you-want download on Bandcamp.com and streams for free on Spotify. Twin Lakes Records presents a Saturday evening triple bill of adventurous experimental music with psychedelic leanings on Jan. 27. 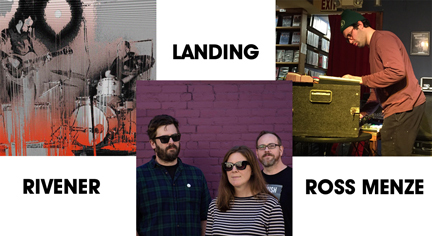 Featured artists are Rivener, Landing and Ross Menze. The show starts at 7:30 PM and the cover is a sliding scale $5-10 (pay what you ca n in that range). 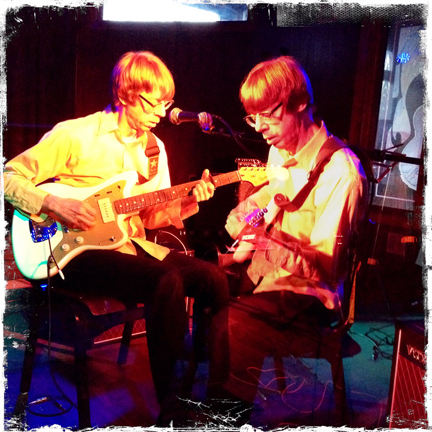 Paul Belbusti (Mercy Choir) & Michael Kiefer (Twin Lakes Recs/No Line North/Myty Konkeror) make up this guitar/drums-based psychedelic improv duo. All their songs are composed on-the-fly — lysergic shape-shifting explorations of no wave, noise, & free-jazz, with elements rooted loosely in the rock tradition — ineffable expressions of the human spirit. Since pressing their first release in 2015 to cassette/CD-R on the Twin Lakes imprint, Rivener has shared bills with such subterranean luminaries & forward thinkers as Magik Markers, MV & EE, Oneida, Fire Death, Xylouris White, Marisa Anderson, Samara Lubelski, Millions-Sauter Duo and Spectre Folk. Their self-titled vinyl debut was released on Sept 1, 2017 on Twin Lakes/These Are Not Records. Landing has specialized in a mild and rural type of psychedelia over the course of twenty years, ten albums and a slew of EPs and singles on labels including El Paraiso, K Records, Geographic North, Ba Da Bing!, These Are Not Records, Strange Attractors Audio House, and more. Connecticut’s Landing inhabits that amorphous space where time itself expands and contracts according to a delay pedal setting, and dream pop blurs into dream proper. Groups like Stars of the Lid and E.A.R. have wandered this same misty plane in search of the perfect drone, but Landing incorporates Bardo Pond’s jam aesthetic into the journey, imparting a welcome communal feel to their lengthy, meandering compositions. Mountain Movers drummer Ross Menze rounds out the bill with electronic loops and ambient noise. 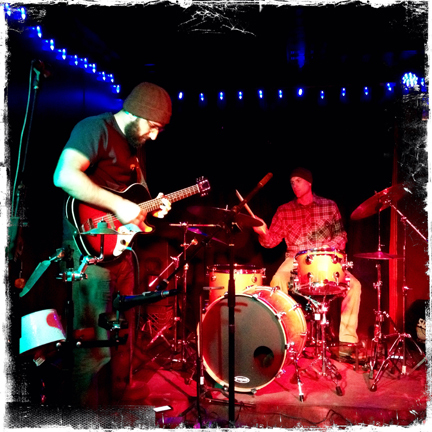 Rock trio Rope plays Best Video Performance Space on Friday, July 14. 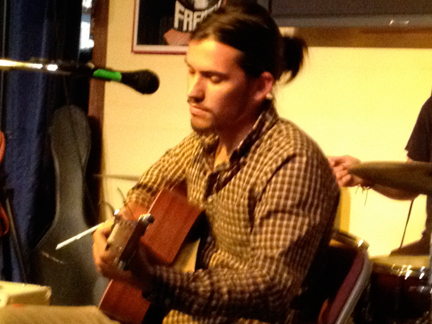 Indie singer-songwriter Kevin MF King opens. The show starts at 8 PM and the cover is $5. 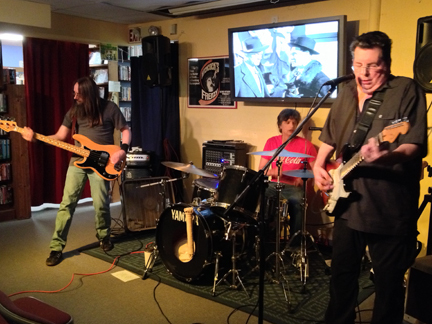 ROPE is a New Haven based trio playing original music, classics, underground gems, lowdown blues and folk. 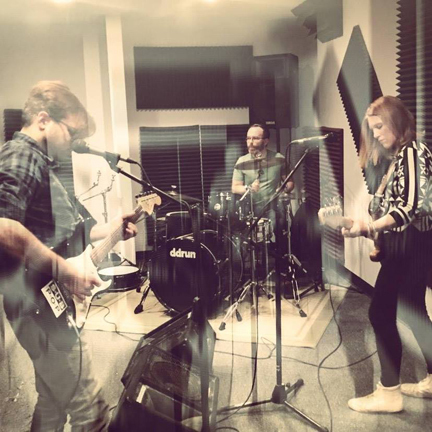 We also dig surf-music and lay it out both electric and acoustic. 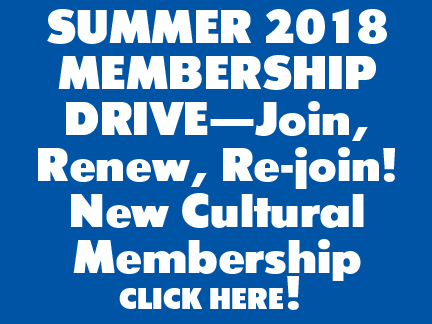 Members are all veteran performers having played in such bands as Bill Bakers Satins, SUBDUEDS (New Haven), Christine Ohlman, Hilton Valentine’s Skiffledog (guitarist for The Animals) to name a few. Sal Paradise—guitars vocals, composer/arranger—has been active in the New Haven and CT Music scene since 1978. ROPE is Sal Paradise (guitar, vocals) Pat Quinn, (drums, back-up vocals) and David Hurd (bass). Kevin MF King’s songs run amok with topics such as work drudgery, self-reflection, escapism, the debauchery displayed in modern politics and the process of human interaction, at times using fictional folk tales to tell a story, others just beautiful instrumentals. KMFK has more than 100 self-recorded songs regularly distributed on self-released hand-stamped CDs. The group Rope and solo performer The Forest Room play Best Video Performance Space on Wednesday, Nov. 11. The music starts at 8 PM and the cover is $5. 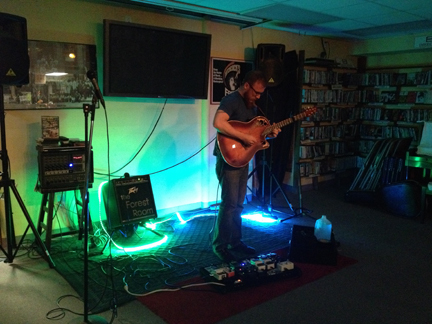 Opener The Forest Room is Matt Streit playing solo acoustic guitar through a bevy of effects pedals.The Forest Room conjures up wonderful psychedelic ambient instrumentals, lush with echoes and oftentimes playing counter-melodies against his own lines repeated through loop pedals. 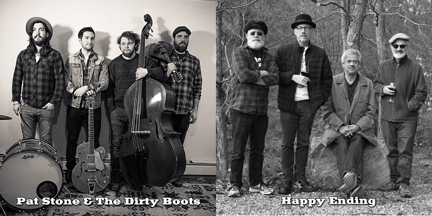 The adventurous free improvisation groups Rivener and Light Upon Blight play the Best Video Performance Space on Friday, Feb. 6. The music starts at 8 PM and the cover is $5. Rivener is Michael Kiefer (Myty Konkeror/Twin Lakes Records) and Paul Belbusti (Mercy Choir/Dead Language Records). They’ve teamed up to create lysergic genre-bending improvisations that draw on a wide range influences, including, but never limited to, psych, no wave, noise, damaged blues, free-jazz, and rock. Rivener debut at Cafe Nine in New Haven. 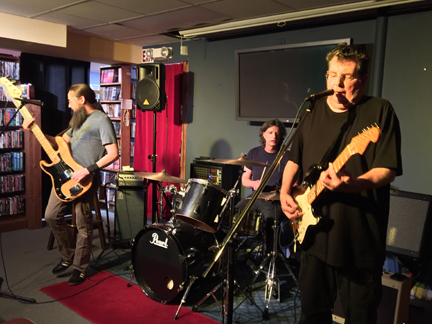 Light Upon Blight at Cafe Nine.